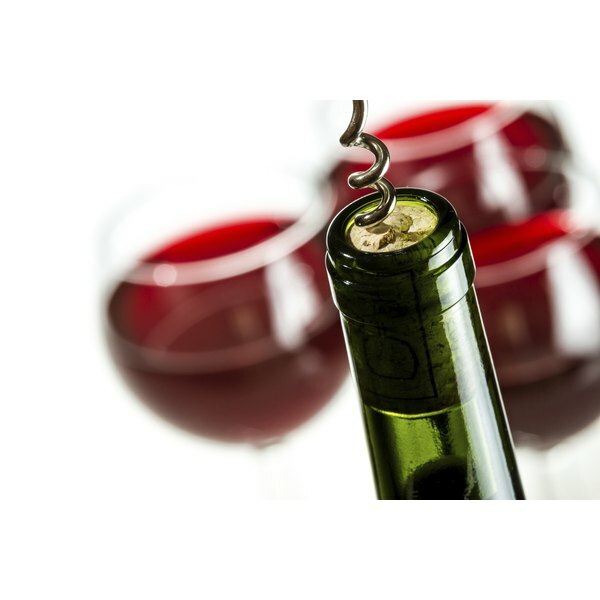 What Are the Benefits of Red Wine Extract? Red wine contains a substance called resveratrol that may offer a number of health benefits. People who regularly drink moderate amounts of red wine tend to have 20 percent to 30 percent fewer instances of coronary heart disease, but scientists are still trying to learn exactly why, reports the Linus Pauling Institute at the University of Oregon. The answer may be in the resveratrol component, but more research is needed to confirm its effects. Before you begin taking red wine extract or resveratrol supplements, consult your health care provider. Resveratrol may be able to fight hardening of the arteries, cancer and coronary heart disease, according to the Memorial Sloan-Kettering Cancer Center. The Linus Pauling Institute adds that resveratrol may have antioxidant properties, anti-inflammatory effects and the ability to keep platelets in the blood from sticking together to form clots. It also may be able to increase longevity. Drugs.com reports that resveratrol may be able to help lower blood sugar levels in type 2 diabetics, improve memory and increase joint mobility. More research is needed to determine whether the apparent health benefits of drinking red wine come from resveratrol or from other components in the wine. Drinking red wine carries the same risks as consuming any form of alcohol, and overconsumption can lead to liver damage, high blood pressure, obesity and some forms of cancer, as well as addiction and accidents, according to MayoClinic.com. As an alternative to drinking red wine, resveratrol or red wine extract supplements are available in pharmacies, health food stores and major retail stores. "Resveratrol supplements may contain anywhere from 10 to 50 mg of resveratrol, but the effective doses for chronic disease prevention in humans are not known," states the Linus Pauling Institute. People who take medications such as anti-platelet drugs, antihistamines, cholesterol-lowering drugs, medications for HIV, drugs for erectile dysfunction and immunosuppressants should not take resveratrol supplements without talking to their health care provider to ensure safety. Anyone with a form of cancer that is sensitive to estrogen should also avoid taking resveratrol supplements since they may worsen the condition, according to the Memorial Sloan-Kettering Cancer Center.